Target Heart Rate Calculation and Fitness Graphing! Meets math and science standards associated with common core! 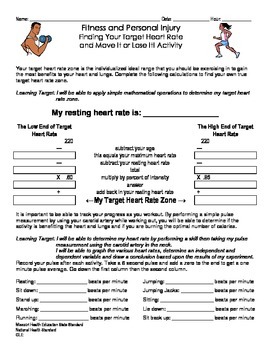 Students are asked to calculate their target heart rate using the Karvonen Method. 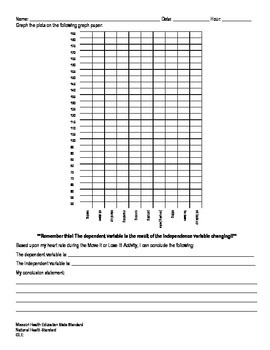 After they calculate a target heart rate, students complete a series of activities and after completion they graph their results using either a line or bar graph. Students are then asked to create a conclusion statement using independent and dependent variables. Great cross curricular activity!! !